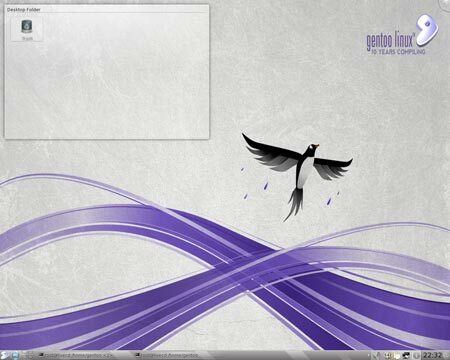 Run the Gentoo 10.1 Live DVD from a USB Flash Drive: The following how to tutorial explains one way to create a Gentoo 10.1 Live USB Flash Drive using Windows, The Gentoo 10.1 Live DVD, and our third party Universal USB Installer. Gentoo is a popular Linux version named after the Gentoo Penguin and was created by Daniel Robbins with a goal to create a smaller portable Linux distribution that only included required programs. Upon completion of this guide, you should have the Gentoo 10.1 DVD running from your USB device. Note: Running Gentoo from USB performs like the Live CD. Currently a persistence feature is outside the scope of this tutorial. Upon reboot, you should have a successful launch of Gentoo USB Linux from your USB memory stick.